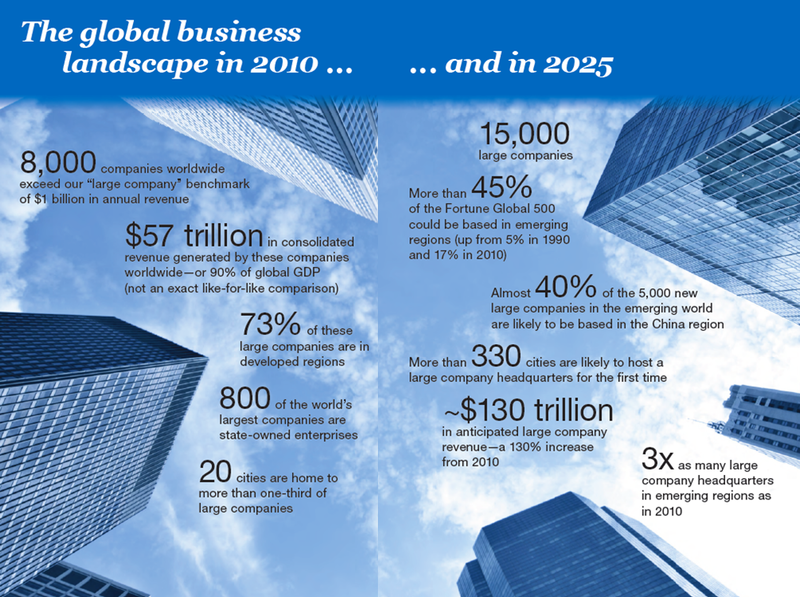 Have you wondered what the business landscape circa 2025 looks like? 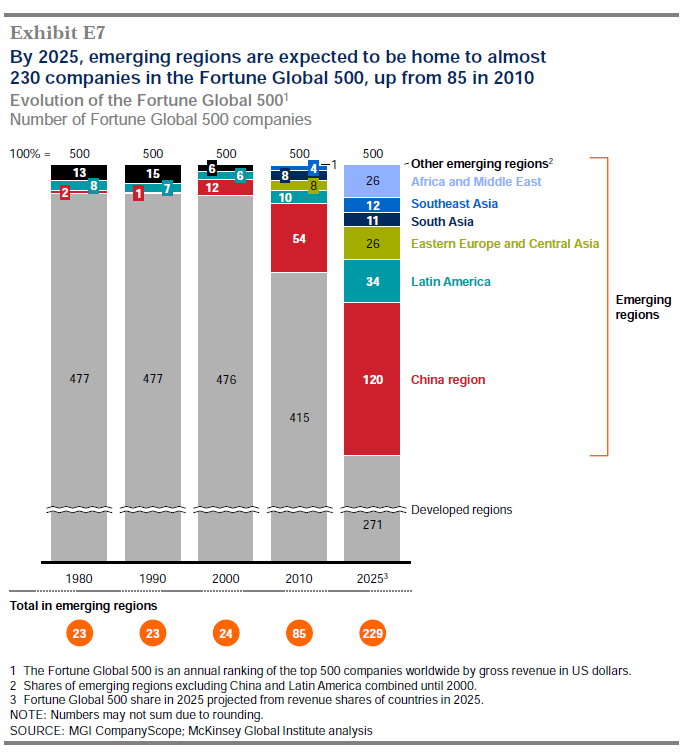 How the ever-changing global environment and the tectonic shifts, instigated by the rise of emerging regions, affect your business decisions today? Even if you haven’t you should and even if you didn’t the team at McKinsey Global Institute did! 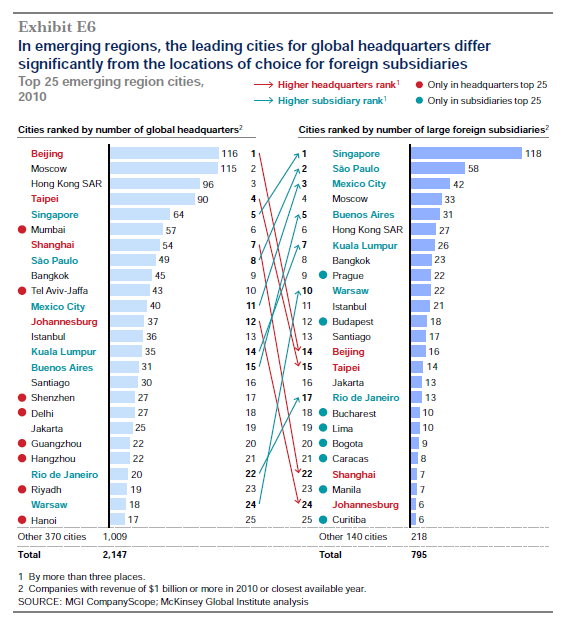 They recently published a thorough report, examining all the facets of the aforementioned trends entitled “Urban World: The shifting global business landscape“. It examines the changes happening on a global scale and compares 2010 with a projection of how 2025 will look like. 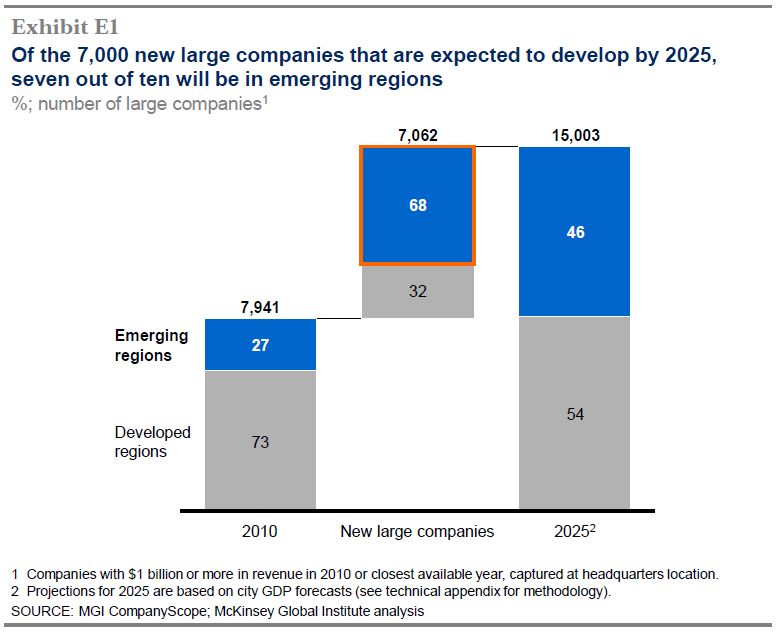 Is your company planning for this global shift? 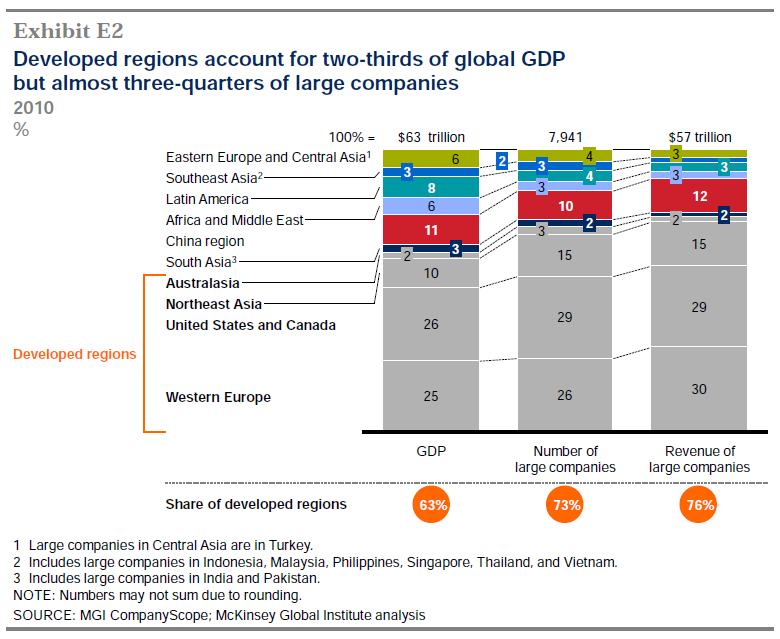 What are some examples of what your doing to “emerging markets proof” your business?